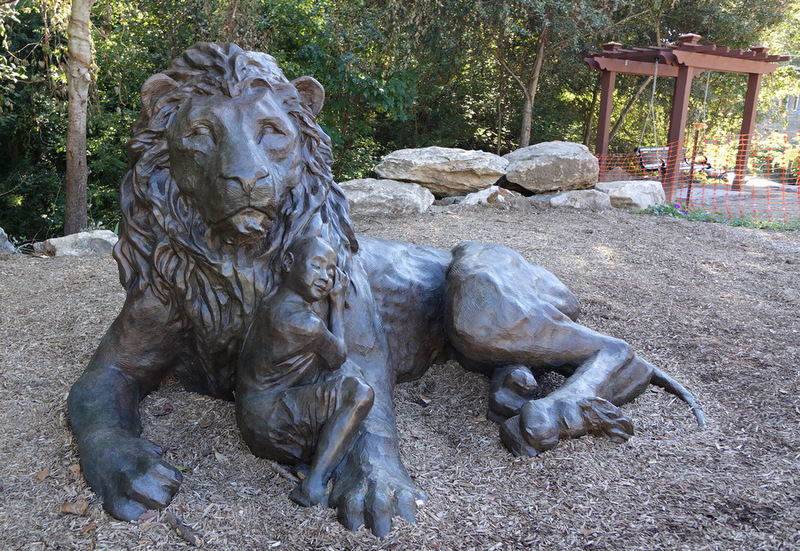 This bronze sculpture in Cancer Survivors Park by Charles Pate Jr. features a child in the protection of a lion. Powerful and poignant. It’s very well done.